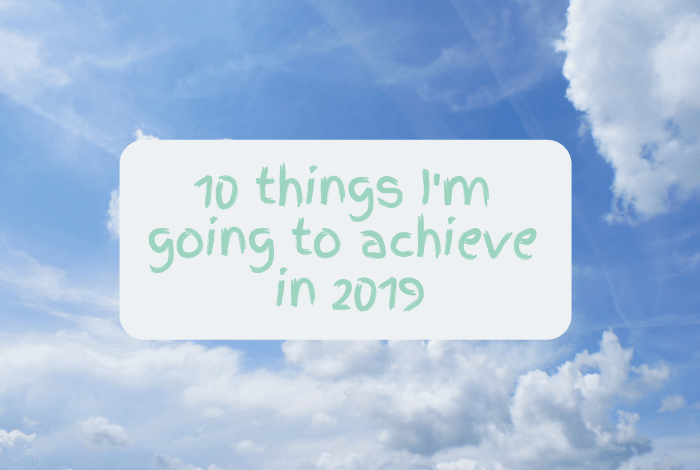 10 things I’m going to achieve in 2019…. I know we’re closer to the end of January than the start but I’ve been meaning to write this post for weeks now but I just haven’t got around to it! 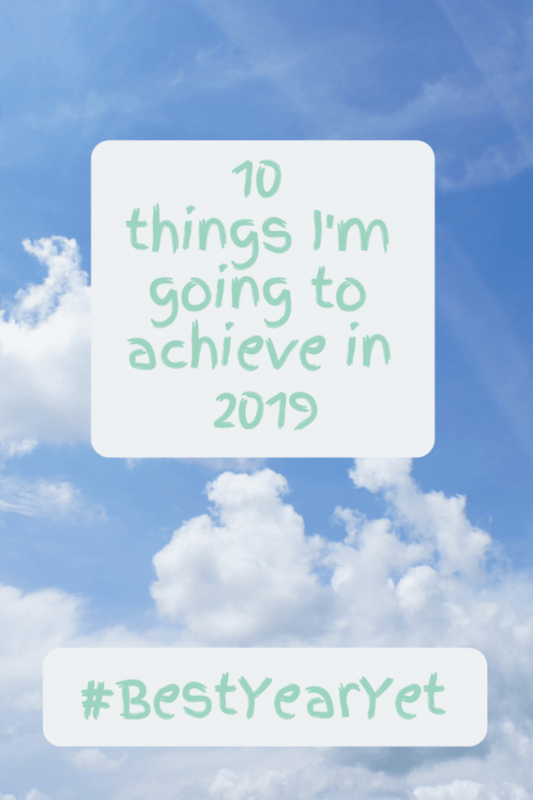 I wanted to share with you 10 things that I want to achieve in 2019 – some of which I’ve started on, some are planned and the rest need some work but they’re all things that I’m determined to achieve this year. I’ll share more about this one at the weekend but basically, my health goal this year is to get more active and lose weight. I read a lot at the moment, in fact, I probably read 1-2 books a week because I deliberately go to be a little earlier on a night so I can read in bed before I go to sleep. I deliberately choose easy to read books that I know aren’t going to make me think too much or make me sad because I read on a night to switch off from my day and anything too heavy is going to make that harder to do. I have a post about books that will change your life – they’re the kind of books I want to read more of. Half of my life is outside my comfort zone at the moment as I’ve taken on some new challenges that are most definitely not what I’m used to. I’m going to roll with it though and continue to look for opportunities to do new things that challenge me! Honestly, this is something I really NEED to get better at this year as I have less time this year for home and blog stuff. Last Friday, I completely forgot about a tutor session we had booked in for Miss Frugal which is so bad but it’s just the latest in a string of things I’ve either forgotten about or not been able to do because I just couldn’t find the time. I need to be more productive in the time that I do have and I do have a few ideas on how I’m going to do that but before I share them, I want to see if I can stick to them. 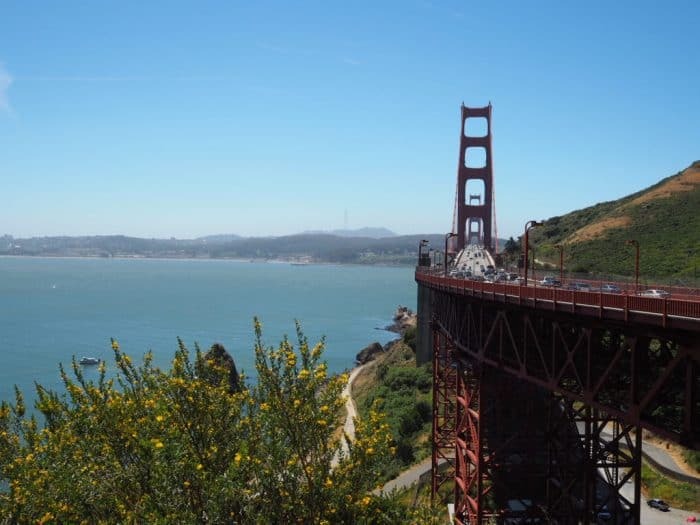 I want to continue to travel to as many new places as possible and even though I don’t think I’ll ever beat last year for travel (San Fransisco in May, Cyprus in August and Los Angeles in November) I want to have a good go. I’m taking the kids to New York for February half term and it’s Master Frugal’s turn to choose our Summer Holiday so I’m currently trying to make Amsterdam work as our annual Summer Holiday. Then I usually have a sneaky break with Miss Frugal at some point near the end of the year and I’m not sure where we’re going this year just yet – there are a few far away places I’d love to visit (Japan and Dubai are top of my list) but I’m not sure they’re within budget or whether or not they’re great places for the two of us to go alone. I work super hard through the year and save pretty hard for our holidays and being perfectly honest, I’d rather do without some things and have great holidays and amazing travel experiences. Over the last few years, I haven’t really had the time to do the things I want to do with my blog and I definitely feel out of the loop in the blogging world. I love blogging and the opportunities my blog has brought me have been life-changing but it’s really taken a back seat while I’ve focused on other areas of my life. I’d like to take some time to re-focus on what I want from blogging and start to do all the things that have just been piling up on my blog to-do list. When the kids were little, we were literally out of the house every weekend and even our weeknights were busy with all the things we used to do. I know that, even if I wanted to, the kids are too old now to want to spend as much time as they used to with us but there are still lots of things we could be doing together every now and again. Before my dad died, we’d got into the habit of doing something as a family every Sunday afternoon and I loved that time but we just stopped as we all kind of retreated into our own worlds for a while. We tried but we never really got back into the habit of that set time together but this year I want to make it a thing again. If I look in my wardrobe right now, it’s filled with things that I don’t wear but don’t want to part with because I might wear it again at some point in the future. It’s not just my wardrobe though, I have a bureau in my kitchen filled with more baking dishes than I could ever use and boxes of things in my loft and garage filled with things I haven’t seen, let alone needed in years. I’ve mastered the ‘not buying crap I don’t need’ thing which has helped massively and I’ve decluttered many times but I feel wasteful getting rid of things that are in perfectly good condition just because I have things I like better. I’ve made a start on this one but it’s not something I can do in a weekend. I’m going to try and choose one area of the house a month to streamline and stick to that. After all, if I had more time then number four wouldn’t have been necessary. I’m in two minds about this one but I think I’m going to give it a go. I’ve got a basic system going in my notebook but I joined a bullet journal group on Facebook and the people in there have taken it to a whole other level. 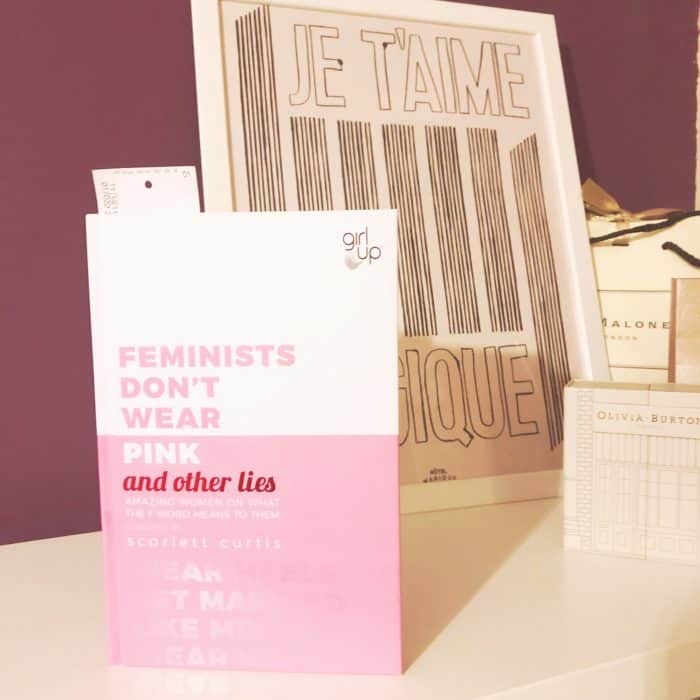 I think it could be quite good for me as I love a good list and being as organised as I *think* a bullet journal would make me would be amazing! This one is pretty much up in the air at the moment but fingers crossed I get chance to work on an idea that I’ve had for a good while now. 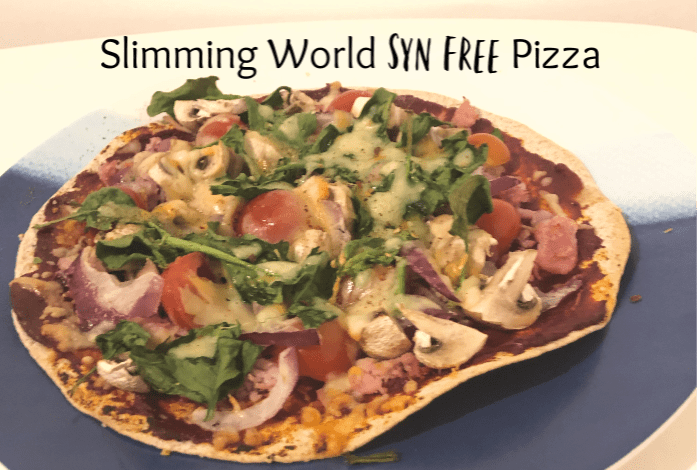 Slimming World Syn Free Pizza….